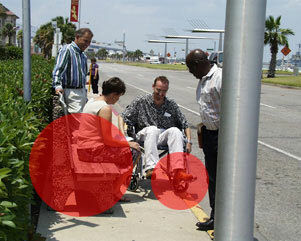 Look at the photos on this page and see if you can identify what is wrong with the accessibility in each one. 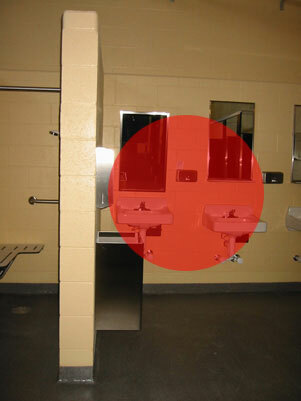 To be accessible, a bathroom should have at least one mirror and sink set at a height that is appropriate for a wheelchair user. While this sink is set lower, the mirror is far too high to be useful. 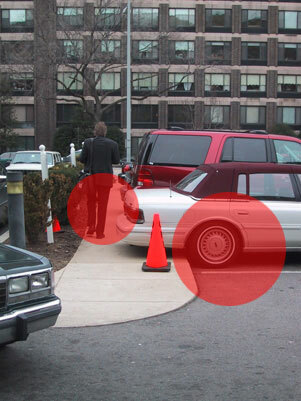 As can be seen here, sidewalks are only useful if there are no obstacles blocking the path of the user. This bench should have been placed on the sidewalk so that there is enough space for a wheelchair to pass by it easily, or not put in that location at all. Although parking with just a bit of the ramp blocked may not seem like a big deal, it makes the curb cut useless. 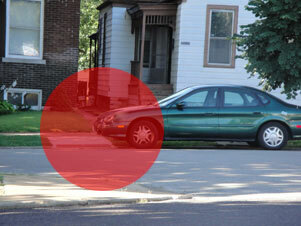 Cars should respect curb cuts in the same way they do fire hydrants, and stay back so they can be reached and utilized. Since there is no concrete barrier to stop the car from backing all the way up over the sidewalk, the sidewalk is rendered useless. When the sidewalk is blocked, people who use wheelchairs or crutches are forced to walk in the street, a dangerous situation. 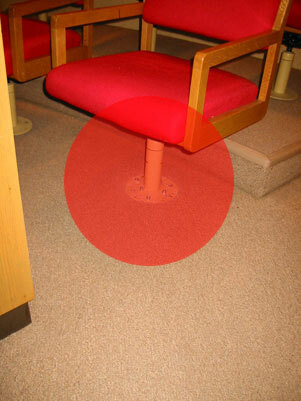 Fixed chairs cannot be rearranged or removed easily, making many movie theaters, sporting venues, and this jury box inaccessible. 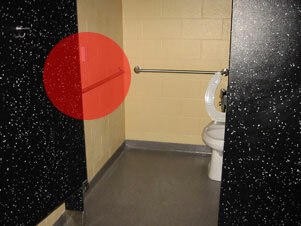 Either space should be left for mobility devices or chairs should not be bolted down. Grab bars are important to make bathrooms accessible, but in this case the toilet is too far away from the wall with the grab bars. 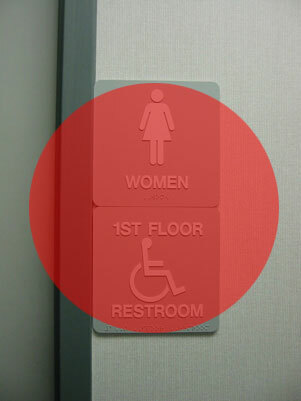 Small details make a big difference in terms of accessibility. 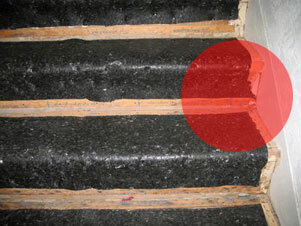 Here, small nails are sticking out from the steps and could easily trip up or injure people who are blind or have low vision. They should be nailed all the way in or removed. Signs should be made using high contrast colors like black and white. Someone with low vision or some forms of color blindness may not be able to differentiate between this light gray and white. Crosswalks are equipped with buttons that signal the light to change so pedestrians can cross. If the buttons are placed too far back from the sidewalk, they can become inaccessible. The pole should have been placed closer to the sidewalk. Curb cuts have made sidewalks more accessible than in past years, since now people in wheelchairs can get onto the sidewalk. If the curb cut is underwater, though, it is just as useless as if it did not exist. 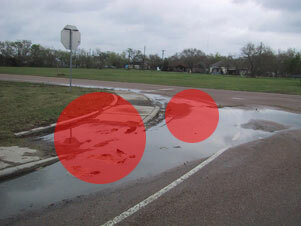 Care should be taken to make sure drainage issues do not affect curb cuts.